Crohns disease is an inflammatory bowel disease causing inflammation, deep sores or ulcers in parts of the digestive tract. As a result it can lead to following symptoms. What Role Does Diet Play in Crohn’s Disease? If you look to mainstream medicine as a solution, you will probably be prescribed one of the following solutions below. however these solutions, only act as a ‘bandaid’ solution, looking at the symptoms instead of the root cause of the disease. How is Crohn’s Disease Treated Conventionally? Many gastroenterologists won’t be very flexible in planning an appropriate diet for people with Crohn’s Disease, however as a nutritionist, I truly believe that the food and drink we consume has a profound affect on our health and well-being, We can use food as medicine to start to get to the root cause of our health issues and begin the healing process. When you have Crohn’s disease, discovering which foods and drinks affect and/ or aggregate your symptoms can be like a minefield. This often leaves you feeling stressed, confused and frustrated. I’ve come up with some tips to help you naturally relieve some of your Crohn’s symptoms. If stress is not managed, it weakens the immune system over time which doesn’t allow the body to fight off bad bacteria and viruses which leads to systemic inflammation and leaky gut. When we are stressed we turn down (or off) our body’s healing processes. To reduce stress do something you love, get more fun into your day. You could meditate, sing, dance, hang out with uplifting and positive people, take an art class, go swimming with a friend, go for a long walk in nature, read a book with a cup of tea or have a relaxing Epsom salt bath. You can read more tips on how to manage your stress levels here. Avoid and eliminate your inflammation by cutting out all inflammatory foods whether that be processed carbohydrates, refined sugars and trans-saturated fats, as well as eliminating any food you may be unknowingly sensitive to, The main foods tend to be gluten, conventional dairy and chemical additives. Instead, start to introduce more ANTI-inflammatory foods into your diet. Both bone broth and gelatin contain proline and glycine, which are amino acids that help heal a damaged gut lining as well as offer anti-inflammatory properties. Bone broth is a great source of bioavailable nutrients in an easy to digest form which helps to improve mineral deficiencies and nutrient absorption. Gelatin and bone broth are also a rich source of collagen which helps to support skin, hair, nail, joint and gut health. Bone broth can be used as the base in curries, spaghetti sauce, soups, and stews. You can cook your vegetables in the broth or simply drink it plain with lemon, turmeric and seaweed salt. Gelatin can be used to make cheesecakes, panna cotta, custard, jelly, gummies or added to hot drinks like hot chocolate. You can read more about the health benefits of gelatin here. Coconut oil helps to absorb other minerals, supports immunity, is rich in antioxidants as well as containing anti-fungal, anti-microbial, anti-bacterial and anti-viral properties. Other fats like olives, egg yolks, salmon, avocado, ghee, butter, homemade mayonnaise and animal fats are easy on the gut and promote it to heal. You can read more about the many benefits of fats here. Fermented foods are rich in pre-biotics, probiotics and enzymes which help to support the healthy microbes in the digestive tract, crowding out the bad bacteria and yeast strains. Fermented foods are essential in helping to repair a leaky gut, replenishing good bacteria in your gut, improve digestive health and boost your immune system. Add fermented foods such as coconut yoghurt, coconut water kefir, sauerkraut, kim-chi and other fermented vegetables to your daily diet. 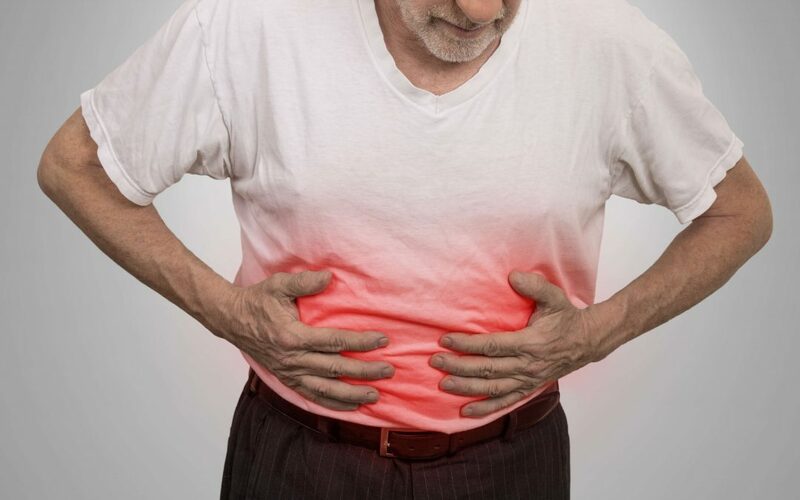 Although there is not one definitive, agreed-upon cause of Crohn’s disease, as each individual case is different, a poor diet and high amounts of un-managed stress are common among people with these types of digestive disorders. Adopting some of the suggestions above are some of the best natural ways to manage your symptoms or send Crohn’s into remission (hopefully for good). Murtagh J. Crohn’s disease: Patient information. Aus Doctor. 2005; June. Leighton JA, Shen B, Baron TH, et al. ASGE guideline: Endoscopy in the diagnosis and treatment of inflammatory bowel disease. Gastrointest Endosc. 2006;63(4):558-65. Surgery for Crohn’s disease [online]. New York, NY: Crohn’s and Colitis Foundation of America; January 2009 [cited 15 June 2011]. Thank you Jordy for this helpful posting. My Crohn’s has been in remission for 10-15 years but I have an occasional flare up and long standing anxiety around travelling, especially in using public transport, and managing work. Any information that will help keep it there, especially treating inflammation naturally, is well received. Thank you so much for the positive feedback Michelle. I hope traveling gets easier for you as your Crohn’s goes into remission. Great article!! Very Useful information for us. Thank you for sharing it.